In early July, the Erlton South Civic Association raised money to install a bench in memory of Phil Guerrieri Sr., who passed away in April at the age of 68. Long-time Erlton resident Alan Miller met Phil Guerrieri about 30 years ago shortly after Miller moved to the Cherry Hill neighborhood. 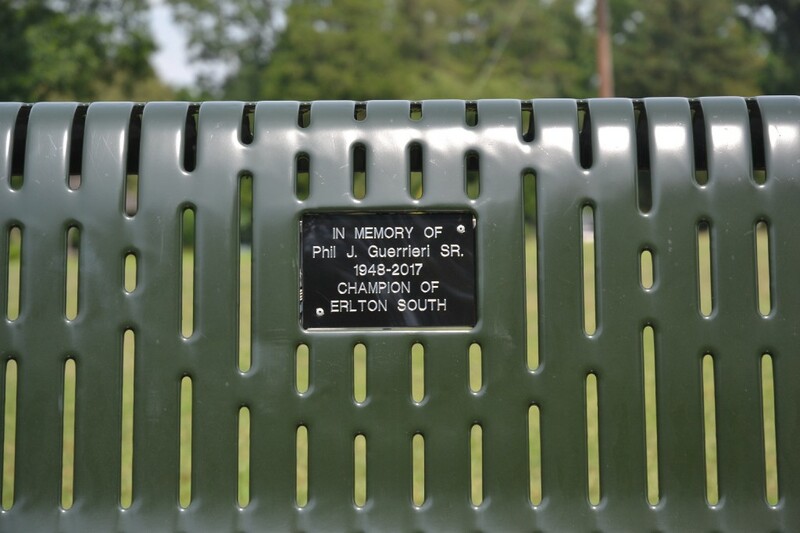 Erlton School Park is a fitting location for Guerrieri’s bench, as he was one of the community leaders who helped get the former school building turned into a park. Erlton School closed in 1978 and sat vacant on the property for more than a decade. Miller, Guerrieri and other community leaders held meetings with the township, which had acquired Erlton School from the school district. Eventually, the two sides came to an agreement to preserve the property as open space. “Phil was very instrumental in working on that plan to go through the different maturations of what that area could be developed for,” Miller said. For many years, Guerrieri served as the president of the Erlton South Civic Association and was heavily involved in the numerous events the association puts on each year, such as its Easter egg hunt in the spring and its Independence Day Parade in the summer. Guerrieri’s passion for bettering Cherry Hill was apparent as he took a stand on numerous township issues over the last couple of decades. Barclay resident Robert Shinn met Guerrieri in 1993 when the two joined forces to protest a state Department of Transportation proposal to widen Route 70 through parts of Cherry Hill. “They wanted to widen the road to six or eight lanes, which we thought would have destroyed the communities where we lived,” Shinn said. Shinn said Guerrieri played a huge role in getting the community to come out against the proposal. “He made it his responsibility to persuade his executive board and members of his association to come out and oppose it,” Shinn said. Guerrieri ran for local office three times as a Republican. He ran for mayor in 2007 against incumbent Bernie Platt, would later run for Township Council in 2009 and most recently ran as the Republican nominee for mayor against Chuck Cahn in 2015. Though he lost all three elections, Guerrieri still had a major impact on Cherry Hill politics. Nearly a decade ago, Guerrieri was a key member of the Cherry Hill Reform Committee, a group that pushed for ordinances for better transparency in local government. Shinn said the group helped get a number of ordinances passed, including a pay-to-play ordinance and an ordinance requiring a transparent process for the selection of township board members. Cherry Hill Township matters were only a tiny part of Guerrieri’s life. 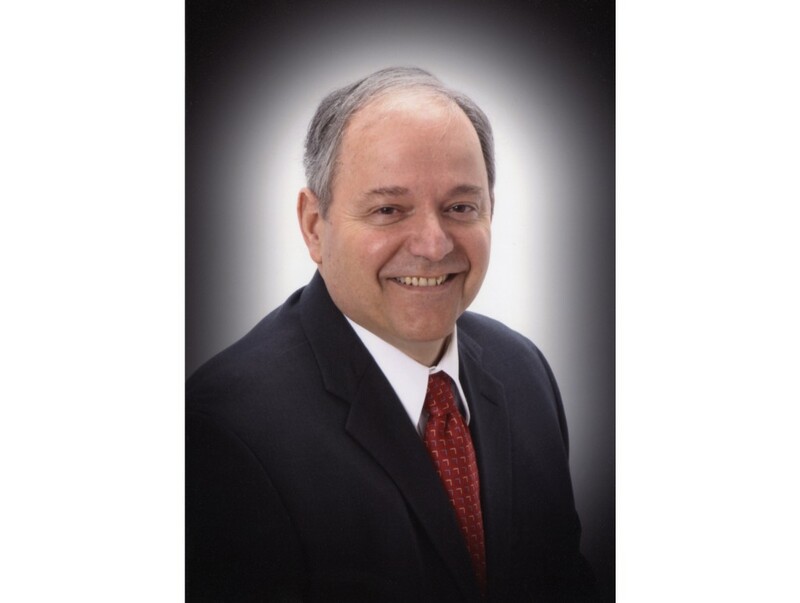 He also owned an engineering firm, Integrated Mechanical Services Inc., and was a member of a number of organizations, including the American Society of Mechanical Engineers and the Mechanical Contractors Association of Eastern Pennsylvania. Despite all of the responsibilities Guerrieri had over the years, community members said he always had time to speak with and help residents. “He would take his time on the evening and weekends not only to help his local community, but try to improve his town,” Shinn added. Guerrieri’s true impact may have been measured through the number of donations the civic association received in his name last spring. When the civic association collected donations to install the bench for Guerrieri, it greatly exceeded its goal. Miller said Guerrieri’s passion, heart and tenacity helped make Erlton the tight-knit community it is today.